3 nights for 2 November OR 20% Off 2 nights! Through March, All Holidays Excluded! Everything about Sea Breeze is fun, light and charming! The living room is open, bright and cozy with a gas/log fireplace and a Pacific Ocean view! Relax, open the doors and windows, feel the gentle sea breeze and listen to the waves rolling in on the nearby beach! The kitchen is open and spacious with all new appliances, a granite counter top with every amenity you could imagine. Sea Breeze has a charming breakfast nook off of the kitchen and offers views of the pastoral hillside. Ocean Views are limited but the beach is within a 5 minute walk. The entry level has the kitchen, dining room, breakfast nook, living room with gas/log fireplace, 1 bedroom, full bath and a den. The bedrooms are comfortable, spacious and beautifully decorated. There is one bedroom on the enrty level, one den with a pull out sofa, and a pull out sofa in the living room. 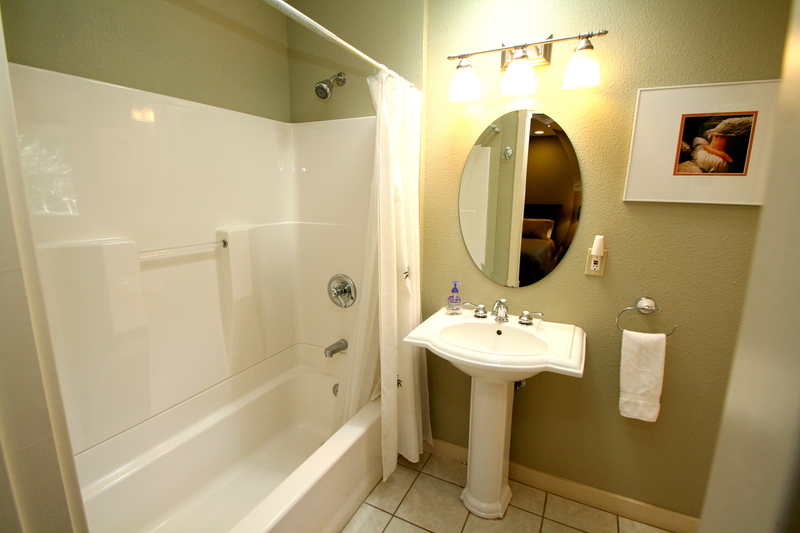 The downstairs has the other bedroom and another full bath and laundry area. Just a reminder; 8 people is the maximum for this house day or night. 2 Cars Max in driveway. Please ask us about where to park extra cars. Total family fun in a property that was outstanding, clean, modern, well appointed. Manager response on 2018-08-12 - Response from Dillon Beach Property Management, Inc. Amenities were 10/10. Beautiful house in a beautiful location all for a great rate. My brother and mom and myself and our families have been coming to this specific beach house for years. This house itself has become part of the tradition with the memories my kids and their cousins and grandparents create with each visit. We really love coming here. We usually plan our trip for July so to come to a beach that is cool in comparison to where we live in California is truly enjoyable! This house is a beautiful and comfortable rental that is within walking distance to the beach. Manager response on 2017-08-02 - Response from Dillon Beach Property Management, Inc.
One of our favorite beach houses so far. Updated, clean and walking distance to the general store and beach. Beds were comfortable and the bathrooms were updated as well. It is on a quiet street with few cars driving by. Great for our family of 5. The kitchen was well stocked with pots, pans, and plenty of room to cook meals at home. We really enjoyed spreading out in this light filled home. Great for families. Everything was absolutely perfect! Can't wait to come back to Dillon Beach again soon. Thanks again! Manager response on 2017-07-27 - Response from Dillon Beach Property Management, Inc.
Easy to settle in and begin to relax and enjoy our stay. The home was well equipped and comfortably decorated for our family. Comfortable house, great views, full kitchen, warm water and reliable wifi and cable. Great support staff too that answered every phone call. Manager response on 2017-09-21 - Response from Dillon Beach Property Management, Inc.
Beautiful, accommodating home. We really enjoyed our stay, and there was plenty of room. Property management was also very friendly, flexible, and helpful.The only improvement I would recommend is a baby gate for use across the stairs leading from the kitchen to the lower level. It would help greatly in the safety of small children and the elderly. Manager response on 2016-08-12 - Response from Dillon Beach Property Management, Inc.
A group of my friends rented out the place for the weekend. We loved the place! Greet location walking distance to the beach & the weather was great. The house was just as it was described in the listing and the management was easy to work with and so welcoming. My only complaint would be the fridge took quite sometime to start cooling but after it did, it worked fine. Manager response on 2016-08-30 - Response from Dillon Beach Property Management, Inc.
We took our grandkids for a 4 day Thanksgiving weekend. The house was perfect (internet was down, but oh well)and the weather was perfect. The kitchen was a dream for cooking a turkey and ham dinner. Easy walk to the ocean and kite flying. We will be back. Manager response on 2016-11-30 - Response from Dillon Beach Property Management, Inc.
Had a great stay with my family. Management company was very professional and helpful. House was really nice and welcoming. Very well stocked. Manager response on 2016-09-28 - Response from Dillon Beach Property Management, Inc. The house is very cozy and well maintained. WiFi is spotty but it forces you not to work. Very relaxing. Manager response on 2016-10-05 - Response from Dillon Beach Property Management, Inc.
We had a great stay at Sea Breeze, The house was wonderful and very close to town and the beach . I would recommend this home to anyone looking to stay in Dillon's Beach. We had a great stay. The home was comfortable, clean and charming. The updates to the home looked great. Enough room for our group of 3 adults and a few small kids and a dog. Manager response on 2016-11-25 - Response from Dillon Beach Property Management, Inc.
My rental experience was fantastic! My girlfriend & I have four kiddos between us & all four of them love the beach. The location of this house was PERFECT for access to the beach & in very close proximity to the town of Petaluma. Overall, great trip & looking forward to 2018! Manager response on 2017-05-16 - Response from Dillon Beach Property Management, Inc.
We had a wonderful stay at the Sea Breeze in Dillon Beach. The house was clean, spacious, had all the kitchen items you could ever need. We loved the town, and the beach was absolutely amazingly beautiful. The house is just a short walk to the beach. Manager response on 2017-03-30 - Response from Dillon Beach Property Management, Inc. Manager response on 2014-07-19 - Response from Dillon Beach Property Management, Inc. Rented this beach house in mid June 2014. Great location, very clean and kitchen is well stocked with pots/pans, dishes, and even some condiments. Having a dishwasher was a pleasant surprise and the management even supplied dishwasher detergent. This appliance was frequently used during my stay. Refrigerator was wonderful as it had an Ice maker and was very large and able to accommodate all the food I had brought for our week. The only problem I encountered was the land line phone was not working. In event of emergency, this could be a real problem. My cell phone worked along with my 4G data when I walked down to the water's edge to communicate with other members in my party who I was awaiting. When I called the property management they were very polite but unable to send anyone to fix the phone. I had purchased a long distance calling card to use the house phone. TV was located in a strange location but had satellite reception which is great. Only recommendation I would make is if property owners could supply board games/cards for when vacationers don't wish to watch TV in the evenings. I had brought a deck of cards but I wish I had UNO and/or Monopoly but my car was jammed packed with beach gear and groceries. I will definitely be going back to this beach house. Manager response on 2014-06-28 - Response from Dillon Beach Property Management, Inc. The place was all around perfect for our family. It is well appointed and had pretty everything we needed. One possible omission was towels---we brought our own just in case but there was an item on the check-out documents that mentioned towels but we didn't find any in the rental. The only other item worth mentioning is the garbage/recycle bins were visited by raccoons one night. I managed to catch two inside the blue recycling container and when I released them, that seemed to take care of any return visits. It was briefly entertaining but I would recommend some kind of cover weight or other device to help keep the lids down. Our stay was very enjoyable and we would stay there again. What a great place! It honestly looked and felt like home. I have been to many beach homes but none felt so comfortable and clean. Not to mention the home was well stocked and had plenty of room. I wish it was closer to the beach but the walk was nice, especially after cooking a great birthday dinner in the amazing kitchen. The locals were great too! I want to stay longer next time. Thank you! PS: The dogs loved it too. Manager response on 2014-06-06 - Response from Dillon Beach Property Management, Inc. When we arrived, the house was impeccably clean, bright and sunny because of the many windows. This was our first trip to Dillon Beach, and I hope to make it the first of many. We loved our stay. Manager response on 2014-08-20 - Response from Dillon Beach Property Management, Inc. This is the second time we have rented this house. We loved it! Very comfortable! The maintenance/cleaning staff met us when we arrived to let us know the previous tenants did not take out the trash so there was no room for us to use the cans, however they told us just to bag the items and leave them in the garage and they would dispose for us so that worked out okay. I would only suggest having the owners add more screens to the windows as it is hard to cool the house down in the afternoon without getting Bees in the house since most of the screens were missing. Also the side yard hose was locked off, it would have been nice to use to clean out fishing/crabbing items. We understand the drought situation however patio small faucet was not really what was needed. We will rent is again! This home was awesome! It is so clean and modern, that it was like staying in a new home. Did I say it was clean, clean, clean!! I found nothing about it that was dirty or in need of cleaning. We loved the lay out/floor plan. My sister rented a home on the same street as us which was $50 less than ours. We all could not believe the difference in the 2 homes for basically the same price. This home was very comfortable, having a well stocked kitchen and an abundant ice maker. The only thing that we would have liked to have had, was a TV in the main living area and one downstairs for kids. Definitely not a problem though. Although we had a 3:20 a.m. earthquake wake-up call, we had a wonderful time in an awesome home... Thank you so much for sharing your home with us. Manager response on 2014-08-27 - Response from Dillon Beach Property Management, Inc.
We spent the holiday weekend at Sea Breeze and had a lovely time. The home is comfortable, clean and pet friendly. Just minutes to the beach and a happy dog is a tired one. We will definitely stay again! Thank you! Manager response on 2014-09-07 - Response from Dillon Beach Property Management, Inc.
Great location and nice property. We were so happy to be able to bring our dog. She loved the beach. The kitchen was well stocked and the house was very clean and updated. Would stay again. We did wish it had wifi. Manager response on 2014-11-17 - Response from Dillon Beach Property Management, Inc.
Property management was a pleasure to work with, and the home is spacious, clean, and a very short walk from the beach. The kitchen was incredibly well equipped, and the faucet in the back of the house was great for rinsing off beach sand. Will definitely rent this beach house again. Manager response on 2015-02-18 - Response from Dillon Beach Property Management, Inc.
Apart from wi-fi, this house had everything we needed...and then some. It's an eclectic mix of old and new (kitchen is great) and the layout is nice. Not having wi-fi makes it a challenge but there is something to be said for escaping. The kitchen included some old cast iron skillets which are great for cooking. It takes less than two minutes to walk to the beach. House is clean and property management professional and kind. Manager response on 2015-03-26 - Response from Dillon Beach Property Management, Inc. Manager response on 2015-11-18 - Response from Dillon Beach Property Management, Inc.
Over all it was great! Manager response on 2015-09-01 - Response from Dillon Beach Property Management, Inc. I stayed in Sea Breeze for a weekend for a wedding. Booking was very simple & easy. Location was very nice. Would recommend. The only down fall was the parking was tight on the block where the house is & there was no iron. But take away those two small things the house was clean & great for a stay. Manager response on 2015-11-03 - Response from Dillon Beach Property Management, Inc. The house was clean and very cozy. Everything we needed was there! We have rented houses at Dillon Beach before, but not this one. Manager response on 2015-10-06 - Response from Dillon Beach Property Management, Inc.
My boyfriend and I took our family and had a great time!! The house we clean, modern, and had plenty of room for the 6 of us. LOVE the kitchen and that everything we needed was there (pots, pans, etc). We really didn't need to bring anything but food and drink. The CD player didn't work very well, so maybe bring your own player, but everything else was awesome! We'll certainly stay here again! Manager response on 2015-11-17 - Response from Dillon Beach Property Management, Inc. The house was brightly lit and clean on arrival. The layout is perfect for a family gathering. Management was accessible and very accommodating. Fireplace heater was so cozy. Kitchen is well stocked with newer appliances, blender, rolling pin and fantastic knives. A crock pot, food processor, pancake griddle and many serving bowls and platters. Set ups for eight. Suggested items to bring: Zip Locks, tissue, slippers, extra dish towels, charcoal & lighter fluid. Manager response on 2015-11-28 - Response from Dillon Beach Property Management, Inc.
We had a great time at the Sea Breeze. We appreciate all the detail put into our arrival. This was a great introduction to Dillon Beach! We will definitely be back. Manager response on 2015-10-27 - Response from Dillon Beach Property Management, Inc.
My husband and teen daughter checked in on a drizzly Saturday afternoon to unwind from work and school. We walked in to a light filled, wood floor living room with a view of the ocean and a homey feel. My daughter claimed a big chair in the corner of a cute small room adjacent to the living room but separated by french doors and sketched peacefully for the next two hours while enjoying the view and the tranquility of this charming beach town. The house was clean and well equipped with everything we needed to cook, enjoy coffee and tea and unwind while taking breaks to walk down to the ocean, which was 5 minutes down the hill. We can't wait to come back! Manager response on 2016-04-14 - Response from Dillon Beach Property Management, Inc.
We enjoyed a quiet stormy weekend with long time friends at Sea Breeze. The home was beautifully decorated with a cozy fireplace, roomy kitchen with all the amenities, and comfortable layout. The spit level gave each of us couples the privacy we desired. Such wonderful location in the village added to our beach roaming experience even with the rainy weather. We will come again each March to celebrate our birthdays! Manager response on 2016-03-10 - Response from Dillon Beach Property Management, Inc. Manager response on 2016-03-06 - Response from Dillon Beach Property Management, Inc. Manager response on 2016-03-29 - Response from Dillon Beach Property Management, Inc. I got my taxes and on a spur of the moment decision and availability we rented your beautiful home! Me my 11 yr old son and my boyfriend and my dogs were on our way! Now as a child me and my two sisters never got to go away for a few so I invited them, I even told my mom who hadn't been out in a very long time to come out and low and behold they all showed up!!! I was elated, and my sister had my niece with her who just turned one yr old! So me and my son and my mom and boyfriend and two sisters and my niece all walked the beach for the first time ever and it was beyond words! We came back home and cooked a fine meal and spent quality time with each other that night but worth every penny and its going to be a yearly thing for us. The house was perfect and we will be back!!!!!!!!!!!!!!!!!!! Manager response on 2016-02-26 - Response from Dillon Beach Property Management, Inc.
We loved our home away from home it was such an amazing trip! Probably one of the best trips my family and I have taken! The home was so comfortable and nice can't believe how great it was! We will be planning our next trip very soon! Manager response on 2016-04-03 - Response from Dillon Beach Property Management, Inc.
We had a lovely time. The house had everything you could think of with which to cook. It was very clean and comfortable. Easy walking to the beach and store. We want to go back! Thank you so much for the professional service. Very easy to work with! Manager response on 2016-03-16 - Response from Dillon Beach Property Management, Inc.
We completely enjoyed this beautiful cottage in Dillon Beach, CA. It appears to have been fully and expertly rennovated very recently, which is very nice to find. Also, we were able to experience a large variety of weather that pleased every member of our group. Very quiet cozy clean beach house. We loved the scenic views of the cows grazing the hills and the deers eating in the backyard. The kids had so much fun they wanted to go back the week after we left. The beach a nice stroll away. This is the third time we have stayed at Dillon Beach each time was at Sea Breeze. My family feels very comfortable there, and know which room they have to stay in. Having the washer and dryer is great. We love to BBQ. They breakfast nook is wonderful in the morning to eat have have coffee. We can walk to the beach in just a few minutes. Manager response on 2013-07-29 - Response from Dillon Beach Property Management, Inc. This is a very cute place to stay. Close to the beach! This is a great property. Nicely furnished, close to the beach. Only thing that could be improved are the hide-a-bed mattresses. They were both really uncomfortable. They would work for children but for adults the mattresses are much too thin. The rental company is wonderful, we have rented through them a number of times and they are always professional and pleasant. this being our 56th year coming to Dillon Beach, It can't get any better! Sea Breeze was a superb house to stay in, the weather, although the wind was a little bit strong, the sun was out and it was warm enough to go around in short sleeves. Sea Breeze is a warm and comfortable house to stay in. We'll take it again next year, unless we have a larger group. Karyn and the gang are fabulous to work with. House great. Macro weather not so good. In July, of 5 days, 3 were foggy all day and there was fog every monring. Is is the macro climate of this region. If you go inland 5 miles you will find sun, which we did for the 3 days. Manager response on 2013-07-30 - Response from Dillon Beach Property Management, Inc.
Great family weekend get away! This was our second stay at this house. We plan on making it an annual get together for our wife and I and our four adult children had a great time! This place was amazing! Very clean, close to the beach, overall perfect. Highly recommend! We took our baby girl to Sea Breeze to celebrate her first birthday along with family who traveled from southern California and met us there to join in the festivities. We had an amazing time! We LOVED the beautiful kitchen and all of the windows. The bedrooms were just what we had in mind and the sofa bed was perfect for my sister. The only oddity was the garage smelled strongly of animal urine (cat, specifically) and when we opened it, it wafted in to the bottom bedroom area. Other than that, we had a great time and would stay here again. A little "Slice of Heaven"
The property, Dillon Beach, the people, everyting about our long weekend was just wonderful. We are looing forward to our next stay. 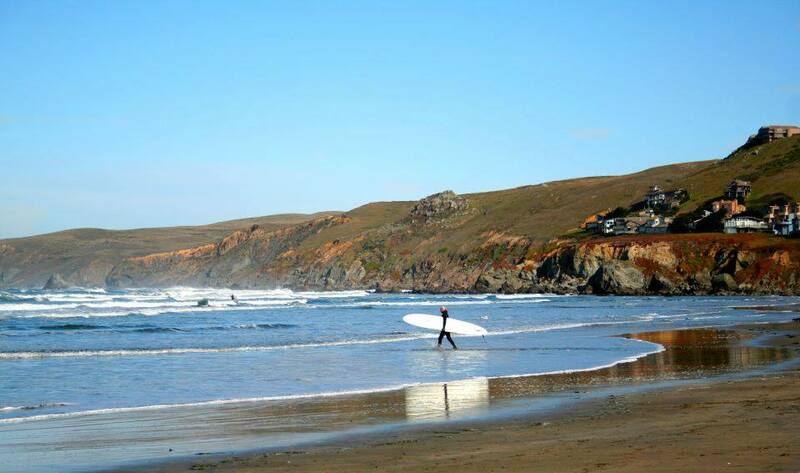 Sea Breeze at Dillon Beach is a super place to stay. Very relazing, walking distance to Dillon Beach. We had a great time at this house-it was very clean and comfy for all 7 of us. The kitchen was wonderful-they had everything we needed and more! We would recommend this place to friends for sure. The house was exactly as advertised, and was immaculate inside and out. We were very impressed with the quality of the house from the wood and tile flooring to the granite counter tops. Beds were very comfortable, and kitchen was well stocked. Would definitely stay here again. A beautifully remodeled gem near the beach! Very clean & cozy little cottage. Convenient to beach or those staying nearby at the campground. Also nice to have the cafe & store so close. Would definitely recommend to friends & family. We have been vacationing at Dillon Beach for the last 40 years. Have stayed in many places in "Old Town". We were elated to find this jewel. We have been staying at the Sea Breeze for the last 7 years! We love this place. Warm, cosy, and clean. Wonderful kitchen. Hope to be back again next year! Manager response on 2013-08-11 - Response from Dillon Beach Property Management, Inc.
Great vacation home . . . This is a great vacation home. It was spotless and we really appreciated that. Remodeled and done very well. I was a little disappointed by the small view of the ocean but only because it rained during our stay and couldn't get down to the beach too much. I would stay here again. Management staff is great to work with, thanks. This is our 2nd year of staying here and really enjoy the house. It is very well equipped and very nice. There is only 1 television in the house, but again we don't watch tv much when on vacation. The bedrooms were very warm but I don't think this was a normal week. Would stay again!! Manager response on 2013-07-20 - Response from Dillon Beach Property Management, Inc. This was a great rental property. It was extremely clean and nicely decorated. The beach house was definitely within 5 minuts walking distance of the beach, although you could just get a glimpse of the ocean from one front window inthe living room. Parking was great and unloading our cars through the garage was extremely helpful. Our dog, Sally, was happy to have the run about the place as it was pet friendly and didn't mind being crated at the end of her busy day. It was also wonderful to have access to a washer and dryer, although we only needed it once. We brought out own detergent/softener and they worked just great. The electricity went out Friday night in the entire Dillon Beach area....a total blackout (only for a couple of hours), and we readily found candles, matches and our own flashlights. In fact, the property management people called us to check in on us to see if we found the candles/matches in the kitchen which was really sweet and very much appreciated. Thanks for a great four-day weekend, owners of The Sea Breeze. You have a beautiful place. Manager response on 2014-01-30 - Response from Dillon Beach Property Management, Inc.
Immaculate, comfortable vacation home! Expertly renovated recently.Had everything you could ask for. We cooked a lot, and the kitchen was well-stocked with cooking supplies and gadgets. Wuiet neighborhood. Very relaxing setting. We will definitely come back! Manager response on 2014-02-11 - Response from Dillon Beach Property Management, Inc.
i rented the cottage with my book club ladies for our annual weekend getaway. The location was convenient, an easy short walk to Dillon Beach. 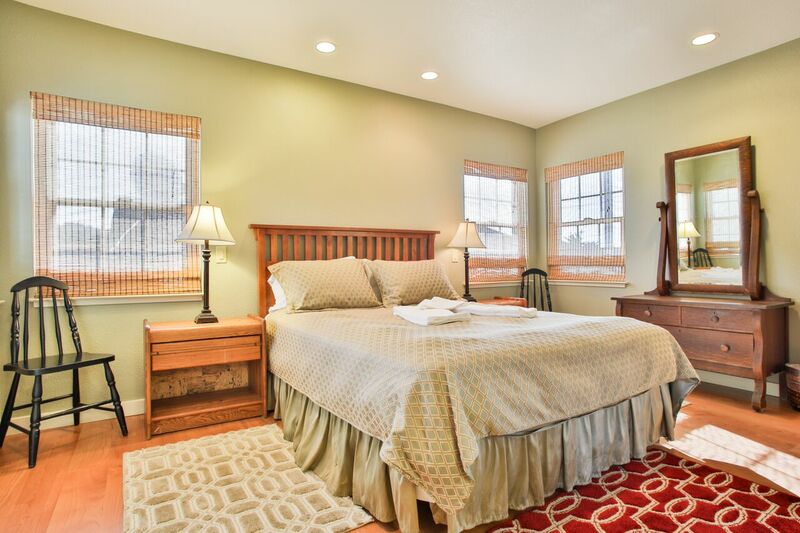 The cottage was ultra clean and very comfortable as well as attractively decorated. The kitchen was especially nice, everything we needed. We all agreed that we would consider it again for next year. Manager response on 2014-03-06 - Response from Dillon Beach Property Management, Inc. Manager response on 2014-04-17 - Response from Dillon Beach Property Management, Inc. I use Dillon Beach as a nearby getaway spot for short vacations (I live in El Cerrito). Over the years I've rented a number of houses, using VRBO, and Moore Realty. This house (Sea Breeze) goes to the top of the list in terms of condition. The bedrooms are large for a house in the village, and the bathrooms are also modern and sizable. The kitchen is the best I've seen in the village. This is a very comfortable, well-maintained vacation house. has always been professional. They tend to have the more upscale houses in Dillon Beach. And there's the convenience of reserving online.